Belastic Responsive is a free premium blogger template for magazine, personal blogs and photography sites. Features included: Responsive design, SEO Ready, Featured Posts widget, Related posts with thumbnails, Easy customization, Unlimited color schema, Drop down navigation menu and Breadcrumb ready. 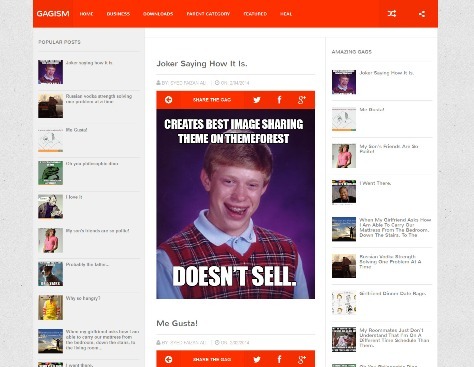 Gagism is Responsive Template based on Futuristic UI build for images gags websites. Features are 100% Responsive, Multi-Drop Menu, SEO Friendly, Reblog Gag Button, 3 Colum Blogger Template, 2 Sidebars and 4 Colum Footer Widgets. 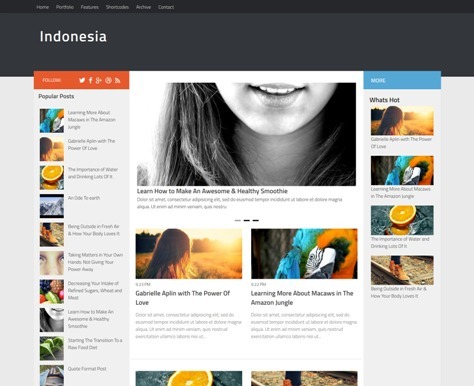 Indonesia is a free magazine blogger template. Features are Responsive, Multi-Browser Support, Drag and Drop Layout Support, Custom Widgets, SEO Optimized and Adsense Ready. 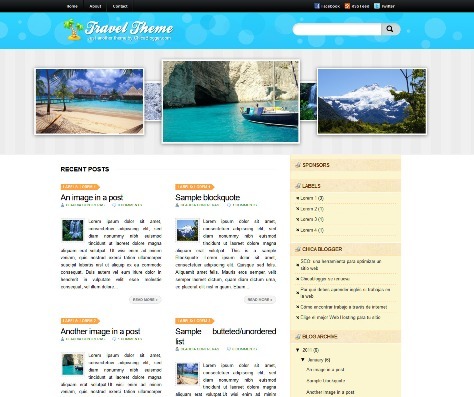 Travel Theme is a Free Blogger Template for Travel with 3 columns, right sidebar, fresh, Crossbrowser Compatible, footer columns, slideshow, and Twitter ready. A Nous is a Free Magazine Blogger Template with simple and easy customization. 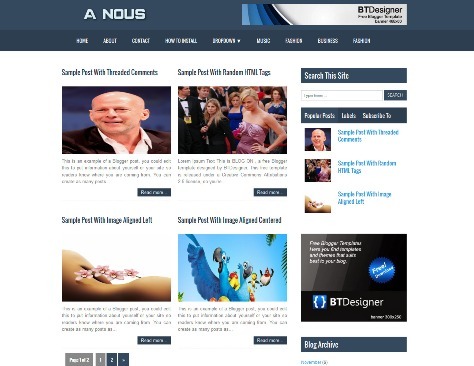 Features are SEO Ready, Fully widgetized sidebar, Related posts with thumbnails, Three columns footer, Flat style magazine, Adsense 468×60 on top header and Social sharing icons on footer. 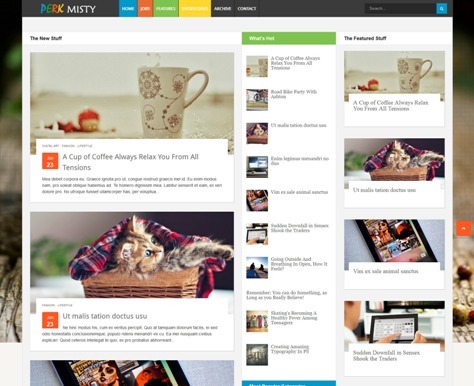 Perk Misty is a free responsive and modern multipurpose blogger template. Responsive, Multi-Browser Support, Drag & Drop Layout Support, Adsense Ready, Custom Widgets and SEO Optimized Blogger Template. Fashionable is a free blogger template for blogs of fashion. Features are 2 columns, jQuery built tiptip, Tested in the latest versions of IE, Chrome and Firefox. BlackCity a blogger template for magazine with 2 columns, 1 right sidebar, breadcrumbs, Featured Slideshow, ads ready and dropdown navigation menu. 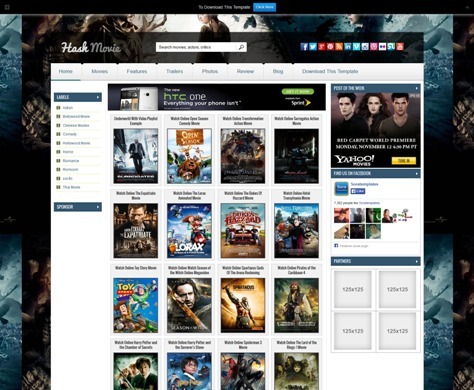 Hash Movie is a Blogger template for movies, posters, and video playlists. 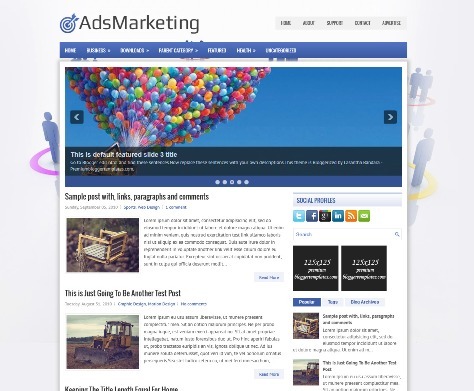 AdsMarketing is a Responsive, 2 Columns Blogger Template for General Blogs with 4 Columns Footer, 1 Sidebar, 2 Column, jQuery Slider, Tabbed Widget, Dropdown Menus, Right Sidebar and Slider.